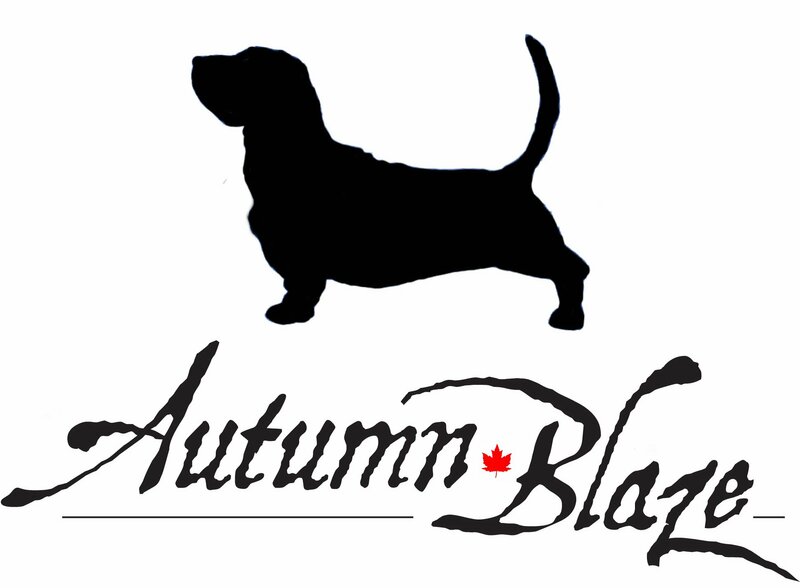 Autumn Blaze is a small family kennel located on 50 acres outside of Brigden, Ontario. We are dedicated to raising quality Basset hounds, that will easily become an important part of your family. We breed for quality and sound temperament, and only sell our puppies to loving and caring homes. Our Bassets have the temperament that we strive to offer - quiet, gentle and loveable! They have goofy personalities, are affectionate and totally irresistable. All our puppies are born and raised surrounded by us and our 4 kids, and are well socialized with other dogs and even our cats! Our kids are very "hands on" when it come to the dogs and puppies; so you will be sure to get a puppy that is well socialized, extremely friendly, loves kids and ready to fit into any type of family. Raising Basset hounds is a hobby for us (not a business), and because of that fact, we have limited the number of dogs in our family to an amount that that allows us to devote our time, attention and love to each of them. The happiness and health of our bassets is our priority. All of our dogs are registered with the Canadian Kennel Club ( aka CKC ). We sell all our puppies as pets, with a CKC non breeding contract. I am a member of the Canadian Kennel Club and in good standing. Our puppies are ready for their new homes between 8-10 weeks of age. They will have been health checked by our veterinarian, will be up to date with their vaccinations, dewormed 3X and microchipped. We also want to make sure you and your puppy get of to a great start, so we take the time to go over any questions and things that you need to know about owning a puppy. The sale of one of our puppies doesn't end when the puppy goes home to your family, we are always an email or phone call away to answer any questions and to share any happy moments you have with your puppy. You will have lifetime support with us here. We do our best to provide you with a wonderful new addition to your family! If you have any question please feel free to email or call me.